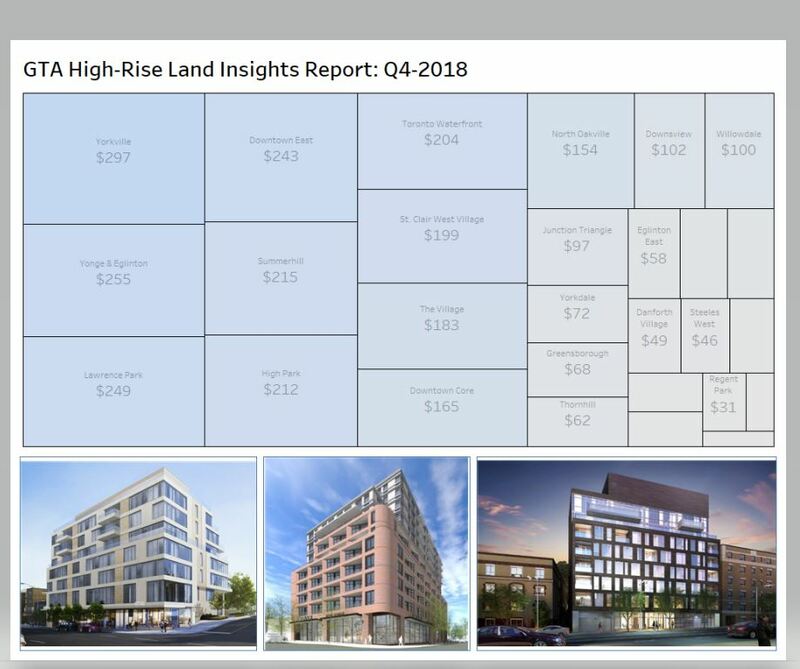 The average price per-buildable-sf for high-density lands traded in Q4-2018 increased by 2% annually. See the report for more details. 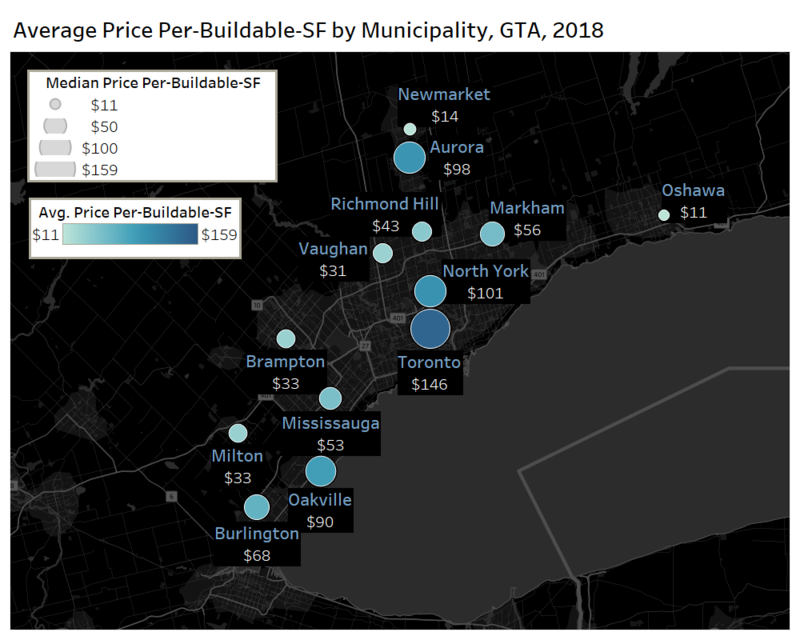 Also included in this latest report are heat maps on values by postal code. See the image below for average per-buildable-sf values by municipality in 2018. Special thanks again go to the report sponsor, Baker Real Estate, and Ratio.City for helping with massings.